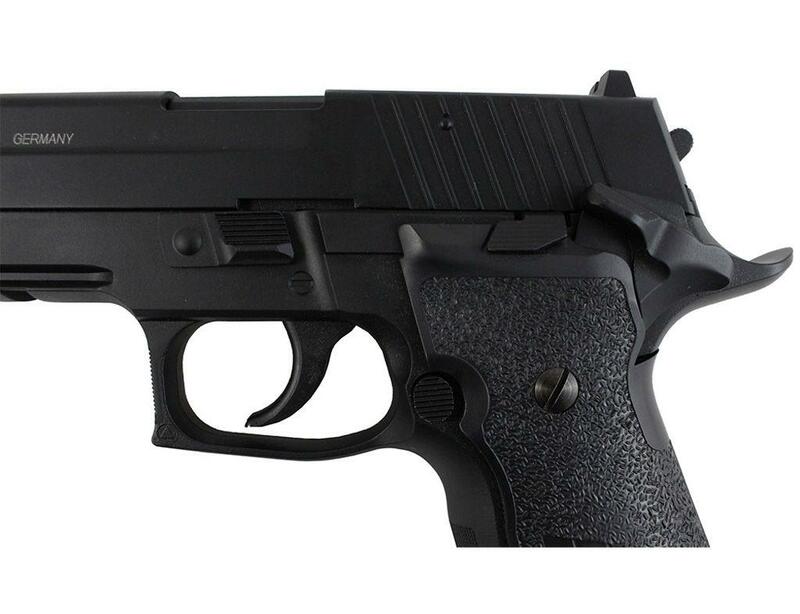 Sig Sauer X-Five P226 Airsoft Pistol | ReplicaAirguns.ca | New Website! 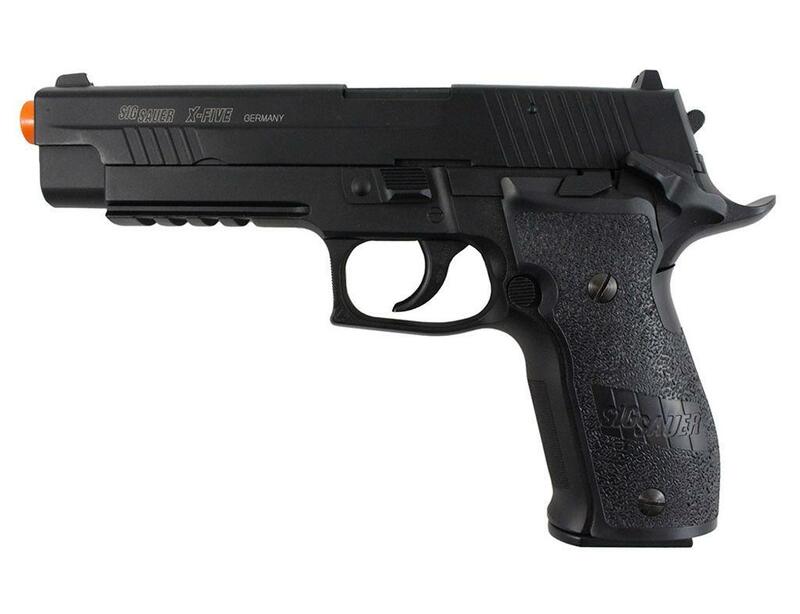 Trigger Pull: The Sig Sauer X-Five P226 Airsoft Pistol Blowback has an awesome single action trigger. 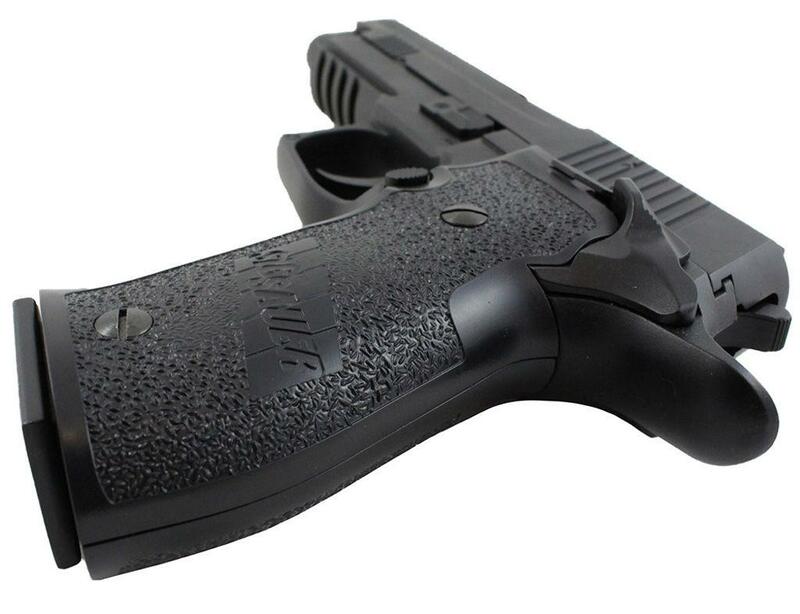 If you're not ready, it can almost get away on you but after a couple of shots you will easily figure out the break and release points and be hitting targets down the range with ease from this super short and light trigger. There is also a double action trigger if you decide to lower the hammer but need to take a quick shot. Accuracy: For my accuracy test I shot 10 rounds and they all easily found their mark close together on the paper target. 8 of the 10 shots grouped within a 3/4 inch hole with 2 shots coming out just a bit, extending the grouping to about 2-3 inches. 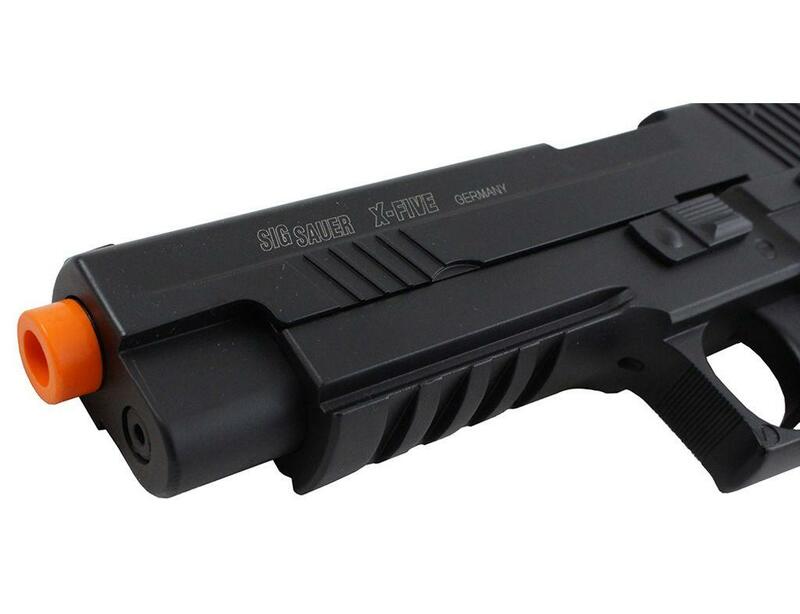 With light airsoft BBs, some shots will stray a little but the fact that 8 out of the 10 shots pretty much made one small hole shows that this blowback airsoft pistol is very accurate. Build Quality: This a very hefty gun made almost entirely from metal. It is one of my favorite airguns because it is so true to form and function. 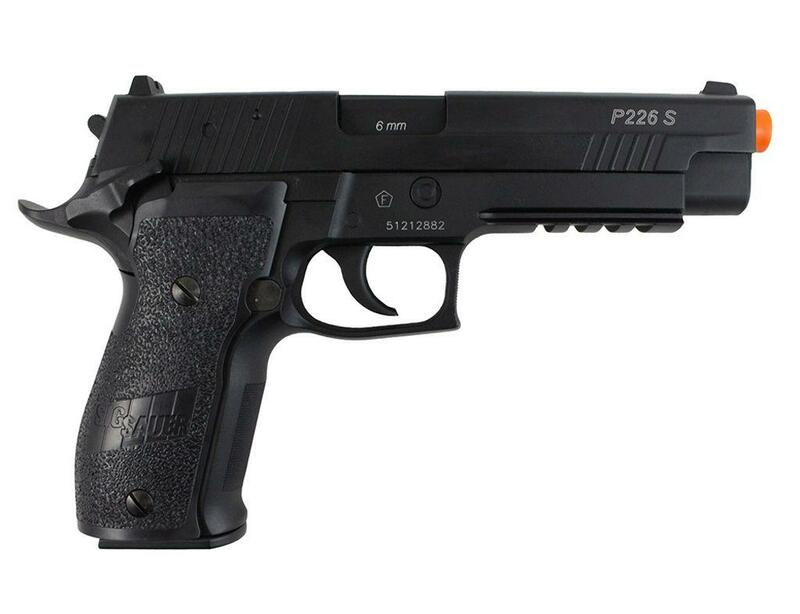 Realism: This is as close as you can come to the look, weight, feel, and action of the real Sig Sauer X-Five P226! 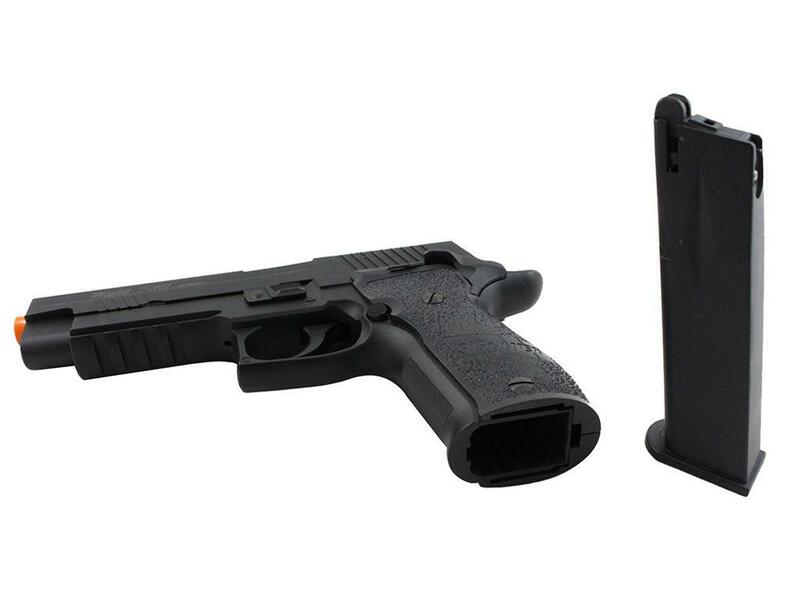 The airgun functions very similarly to the real steel version and the snappy blowback action adds to its shooting realism. 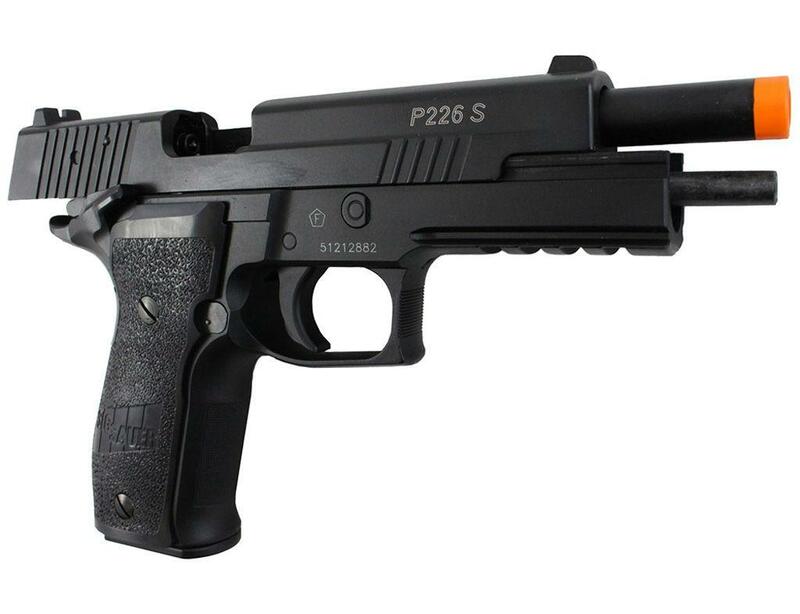 Comments: The blowback action on the Sig Sauer X-Five P226 Airsoft Pistol Blowback has one of the heavier blowback actions you will find on a CO2 blowback airgun. The gun itself is fairly large and a bit on the heavy side but at the same time really well balanced and a joy to shoot.